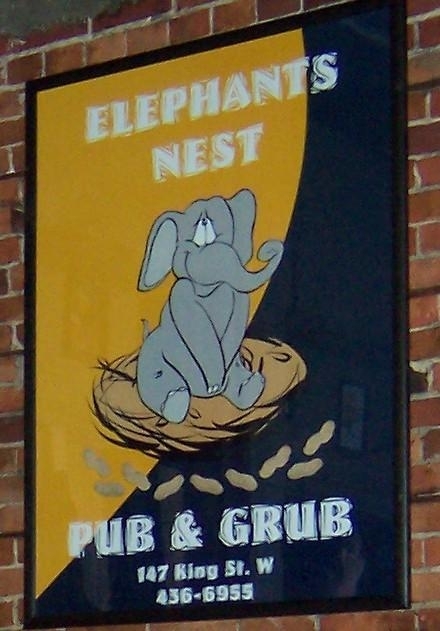 The Elephant’s Nest is a cool little music bar located right down town on King Street. Tuesday night is the highlight for musicians and music lovers as Julie Ross hosts ‘Open Mic Night’. Instruments are supplied and many performers play throughout the evening acoustically. The Nest also has live duos/ bands on the weekends. The key to this club is that you never know what to expect. The club has a cool underground vibe to it on occasions, yet it also plays to the mainstream expectations of your favourite cover songs ringing out into the pub style atmosphere. The Nest is another choice stop downtown for club crawling. The Nest, Spankys , The River Rock, The JAZZBAH, and the Smoke House are all located on the same block. Add a 5 minute stroll and you will also make it to ‘Big Shots’.